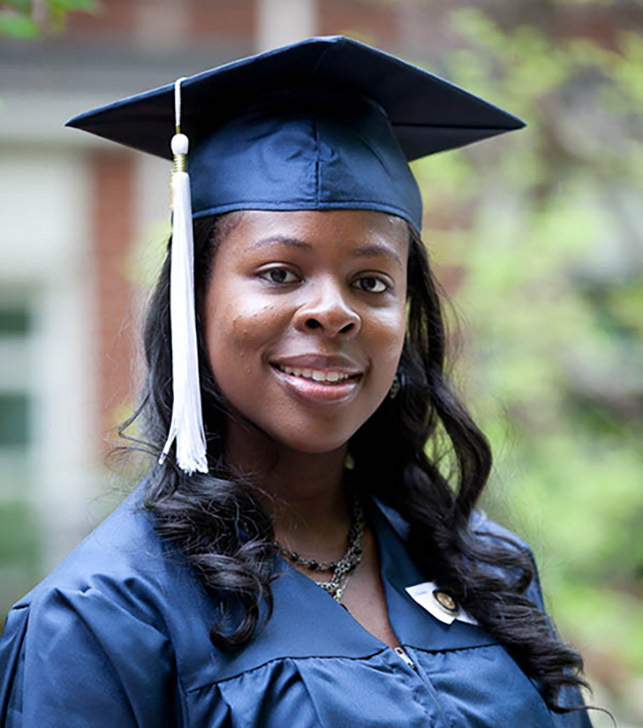 No matter where you are in the world, you can pursue a nursing degree online through Penn State World Campus. Our programs are taught by expert faculty from Penn State’s College of Nursing — and backed by a world-class reputation and accreditation, a student support team, and a powerful network of students, mentors, and alumni. As a working nurse, you focus every day on taking care of others. Find the time to take care of yourself by preparing for more challenging and rewarding positions through one of Penn State's online nursing programs. With our online learning format, you won't need to quit your job or change your life to earn a high-quality nursing degree or certificate from Penn State's well-regarded College of Nursing. Explore our site to learn more and to request information on the online nursing program that best fits your needs. Prepare for the highest level of clinical nursing practice with this professional, practice-focused doctoral program. 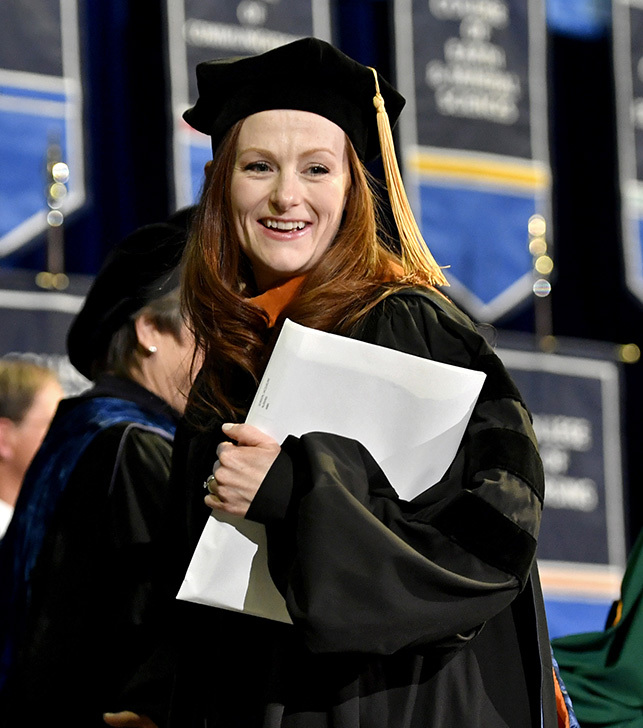 Based on your previous education and nursing experience, the DNP degree has two entry options: directly from the Bachelor of Science in Nursing or post–Master of Science in Nursing entry. Prepare for nursing leadership or educational positions with the MSN program. This program is designed for registered nurses with bachelor’s degrees in nursing. All students take the same core courses. Then, depending on your professional goals, you can choose the Nurse Administrator or Nurse Educator option. Expand your knowledge of the business of health care, with topics including health care economics, fiscal planning, and data management — all while learning how these impact patient safety and risk management. This program can provide you with the decision-making and problem-solving strategies necessary for a role in nursing administration. Gain the skills you need to influence the success of the next generation of nurses. This program can prepare you to meet the diverse needs of students in classroom, clinical, and online educational settings. The flexibility of the course offerings via an online format allowed me to work full time as a Clinical Nurse Specialist. The program also enabled me to apply the education I was receiving directly to my own practice environment. Advance your knowledge of theory and your clinical skills while making yourself more marketable in the current healthcare industry. This program is for currently licensed Registered Nurses (RN) with an associate degree or diploma who would like to continue their education with a BSN. Gain a better understanding of the administration of nursing services, and learn to manage budgetary, data, and nursing personnel. This program gives you the opportunity to acquire the latest techniques and skills, which you can apply in your own health care organization. Learn to support the implementation and use of informatics tools in technology-rich health care environments. The curriculum includes courses on electronic health records, clinical decision support tools, and database management, geared specifically for registered nurses. Gain the tools you need to provide specialized services for victims and perpetrators of traumatic events. You can learn about evidence collection and preservation; forensic documentation, the recognition of domestic violence, assault, and stalking; and legal and ethical issues. The program enabled me to work full-time, thus giving me the opportunity to incorporate my studies with real-life situations. With the knowledge that I have attained from Penn State, I am better placed to thrive in my current role and aspire to new and exciting opportunities. Penn State's College of Nursing is approved by the Pennsylvania State Board of Nursing. The bachelor's, master's and DNP programs are accredited by the Commission on Collegiate Nursing Education (CCNE), One Dupont Circle, NW, Suite 530, Washington, D.C. 20036, 202-887-6791.